Ever consider working from a container? It needn’t be as far-fetched as one might think, even for those with the means to go for a standard office space. Smart Box Industries converts shipping containers that have been commissioned off into work spaces. The concept, according to the company, may still be relatively untested in the region but has its takers elsewhere. “The technology has been incorporated successfully across developed nations, and the GCC’s construction scene can benefit tremendously from it,” said Arjun Menon, Managing Director. And the company has managed to win over some converts. One such is Geo-Chem Middle East, an inspection and laboratory testing firm, which owns the region’s first permanent modular building. Manufactured and assembled by Smart Box, the 13,440 square feet facility features 42 units of 40-feet high cube containers. It has been functional since November 2013 at Dubai’s Techno Park. 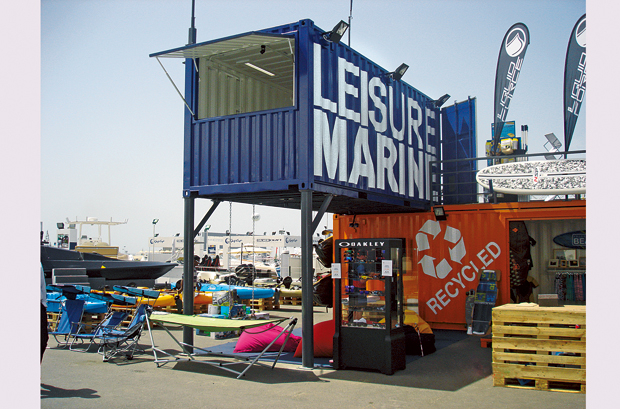 Marine containers are made of ‘weathering’ steel, featuring specialised alloys that make them corrosion resistant. When needed, these make strong and flexible structural framework for buildings, regardless of whether they are used for residential, office or commercial purposes.